The ReesSpecht Life Foundation has its roots in the tragic events of October 2012, when a Long Island family was battening down the hatches at their home ahead of Hurricane Sandy. 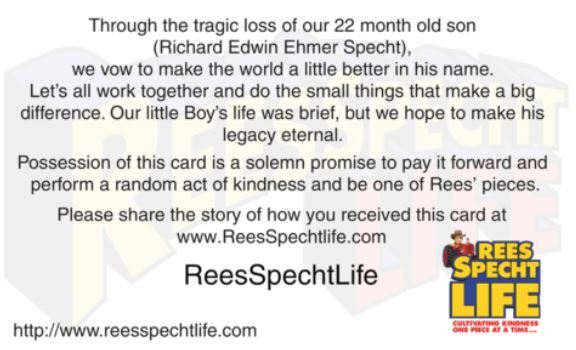 Richard Specht, a middle school teacher, had asked a friend to watch his 22-month-old son, Rees. 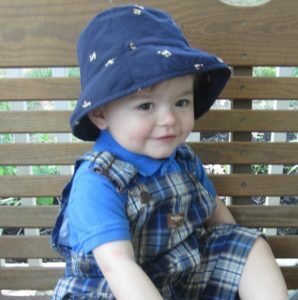 But the toddler somehow managed to get out of the house and wander outside, where he drowned in a backyard pond. It’s a parent’s worst nightmare, and was only made worse when Sandy bore down on their house 24 hours later, leaving them without power for nearly two weeks. But in the aftermath of that tragedy, friends, neighbors and even strangers pitched in wherever they could, delivering meals, helping to clean up and offering their support. 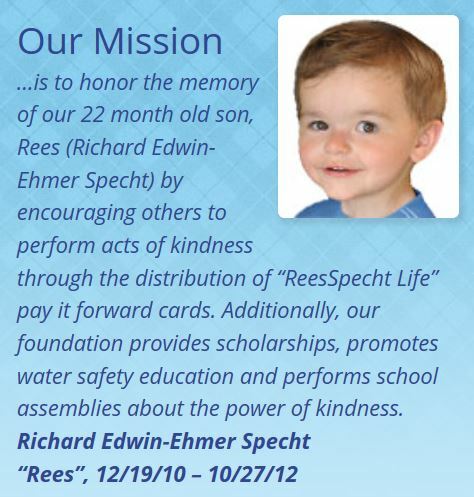 No one would accept the Specht family’s offer to pay them back, though, so they instead set up the ReesSpecht Life Foundation. Its goal is to make the world a better place by emphasizing the importance of community, compassion, and respect. 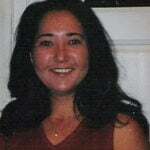 Hundreds of thousands of cards reading “Pay it Forward” have been distributed in honor of Rees. The idea is for cardholders to perform an act of kindness and then pass the card along, creating an unbreakable and never-ending chain of compassion. One man decided to pay it forward in a particularly powerful way. 3.) Since it’s about the idea and not about you, or me, if you decide to share this, don’t use either or our names! 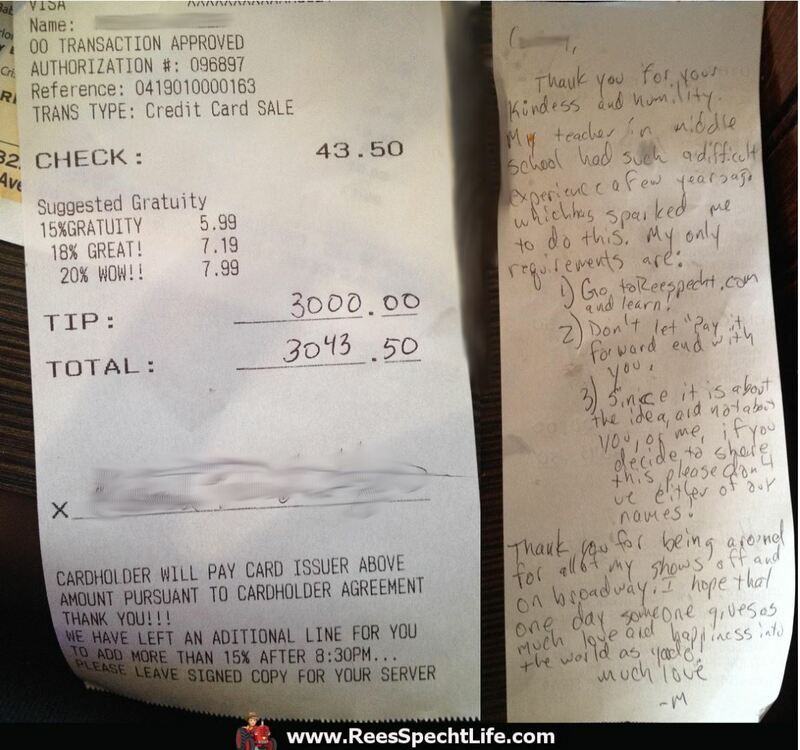 Intrigued, the waitress did some digging around and eventually tracked Richard Specht down and emailed him to let him know about the man’s incredibly generous and heartfelt gift. In staring at that receipt I never noticed the name and it wasn’t until I read the note did I realize that it was a former student of mine. I immediately recalled who he was and realized that I had him at least ten years ago… To think that someone I had a decade ago would honor my little boy, or even remember his eighth-grade science teacher in such a way, blows me away. 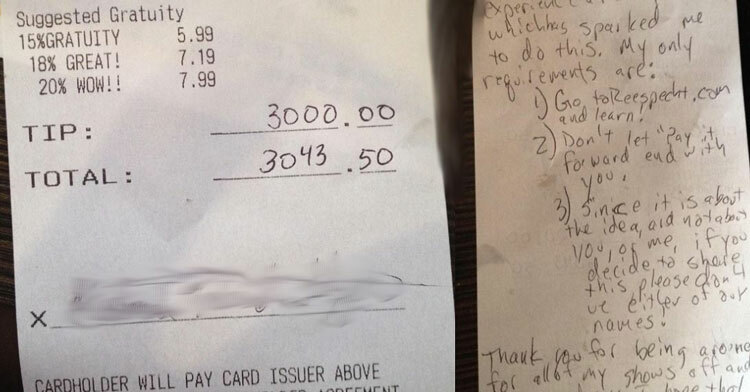 This man’s incredibly generous act of kindness, in memory of a little boy he never even knew, not only impacted this waitress but also his former teacher! It just goes to show: kindness is a powerful thing. Share this incredible story today!